Naughty School Girl Stands In The Corridor After Being Sent Out Of Class. Royalty Free Fotografie A Reklamní Fotografie. Image 43346230. 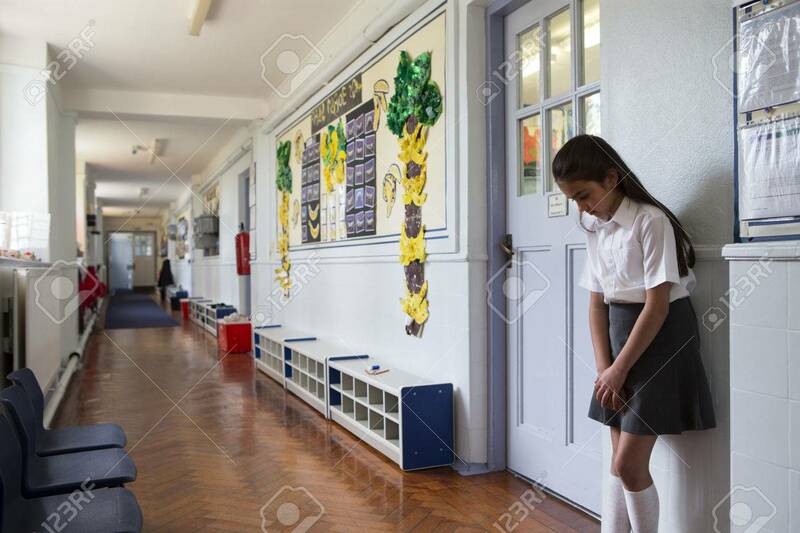 Reklamní fotografie - Naughty school girl stands in the corridor after being sent out of class. Naughty school girl stands in the corridor after being sent out of class.